I bought only 300 grams and turned them into Pecan Nut Butter. I did not remove the skin of the pecan nuts , just toasted them in the oven and let them cooled down before I used a food processor and churned them into pecan nut butter. 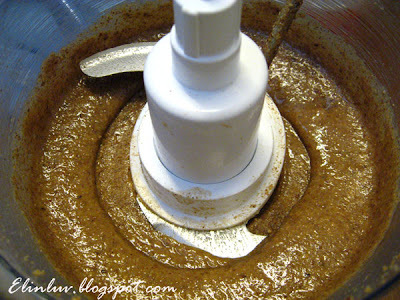 It was magical, seeing the nuts being churned into a paste and watching the pecan nuts natural oil oozing out …it was aromatic and I like the taste of the nut butter though it has a tinge of bitterness from the skin I did not remove I guessed. Being lazy doesn’t pay, does it ? 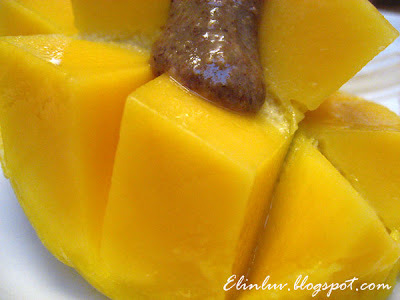 I could not wait to have them in my salad, I dribbled some of the nut butter on my mango though and it went well with the mango cubes. I kept the rest for my salad and I know it will go well with the salad be it fruit or vegetable salad. Easy to make but slightly expensive… but when you know how good pecan nuts are for our body, you won’t mind the price though. Studies show that pecan nuts offer distinct benefits to humans. They nutrient dense, which means that they contain a host of vitamins and minerals, as well as fiber. The nuts are sodium and cholesterol free, so they make an excellent snack food. Pecans have an 18% protein coantent, which makes the nuts a good choice for those on a plant-based diet. Pecans are a good source of potassium and Vitamin E( gamma tocopherol) in pecans is an important antioxidant in relation to intestinal and prostate health. This powerful antioxidant protects blood lipids from oxidatojn. When LDL cholesterol oxidizes, it can build up, leading to clogged arteries. Landmark research shows that antioxidant- rich pecans are in the top category of foods that contain the highest antioxidant capacity, significant in relation to conditions such as coronary heart disease, cancer, and alzheimer’s. Phytochemicals found in pecans, act in the same fashion as antioxidnts and may render a protective effect against certain cancers and heart disease. oh E - i'm so glad you were able to make it! yours look GREAT! it's the favorite nut butter of my family now! 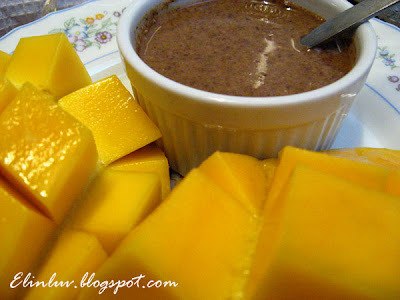 i mix in honey with it and it adds the perfect bit of sweetness + nuttiness! RM72,00 a kilo. That is really expensive. We can get it here for $7.99 a pound. 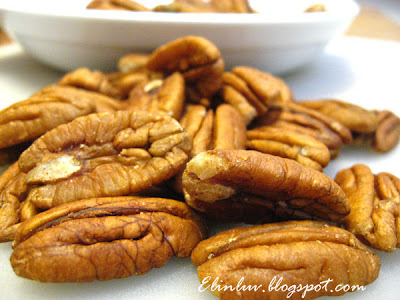 I never knew that I can remove the skin of the pecans :) You pecan butter look like Tahini. 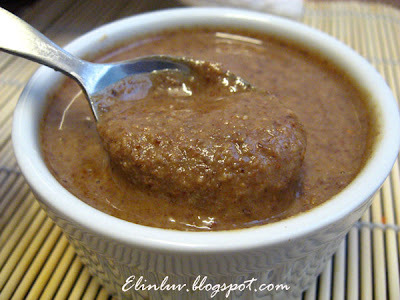 I am looking for a processor for pastes, nuts, do you like yours, and which brand/model do you use? Yum! Very creamy and delicious! This DOES look great. And I'm happy to see you made good progress with it in your food processor. I still want a Vitamix, though! I love the colour of this butter. Yum! 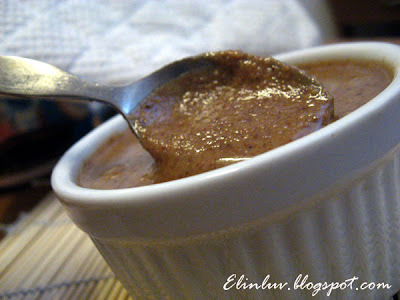 Homemade nut butter - delicious! I can't eat peanuts so this is a wonderful alternative. @ My Asian Kitchen: :) You are welcome. @ Screamin' Mama : :) Yup it is finger licking good with honey added. @ s.stockwell : :) Southerners sure love their pecans... you should try making them into pecan nut butter...goes well with pancake too. @ Tangled Noodle : This is definitely better than peanut butter..healthier too! It serves as a great jam spread to me. Yummy! Hi Elin, I'm a new reader. Just wondering how long the pecan nut butter will last refrigerated since it's homemade. I think you did the right thing by making a small quantity so that you can consume it more quickly. Your snack looks absolutely tasty! It's been a week now and it is still good and it doesn't harden at all and you can spread it on bread just like the peanut butter. Add honey to it and it tasted fantastic. Make it in small quantity coz it is easy to make and you get fresh stock each time. I still have some left , enough for one eating so I guess ten days would be fine if refrigerated. I've always got an abundance of pecans lying around. This looks like a nice project to do w/ them. I suppose I would take the time to get the skins off though as it sounds like it imparts an unwelcome flavor. Thanks for the great idea! This pecan nut butter is worth all the trouble to take off the skin. You can remove them by using a towel to rub them off after toasting them. where do you buy the pecan nuts, dear? i've been trying to find them but unable to.. but sure, it is unbelieably costly! do tell me where to get them!